Find it fast. Antares 50mm finders will let you see and target faint objects like globular clusters without star charts even near city limits. Features include multicoated objective lens, helical focusing, eyepiece with rubber eyeshield, 52 degree apparent field, internal baffling, dust caps and focusable wire reticle. 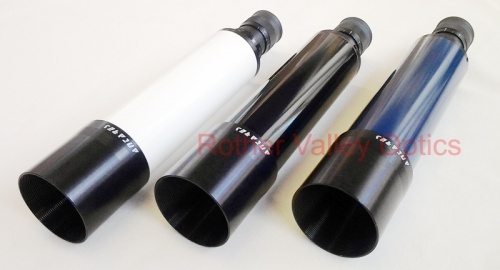 There are three models available, each in a colour to match your scope.